MetaTrader 4 : Why should you use it? Markets.com is trading platform for Forex and CFD’s and is owned by SafeCap Investments Limited. Markets.com have won several awards for being the best online broker and for having the best customer support. Read our full Markets.com review here. MetaTrader 4 (MT4) is one of the advanced platforms (trading software) that Markets.com provides. You can use it to trade or analyze in CFD’s, Forex or Indices. Why trade in MetaTrader 4? In fast moving markets like ours you will need a fast and efficient platform to react on great chances that come and go. It is very disappointing when you miss such a chance, so a fast platform is uch needed. A lot of platforms, especially web versions have a high latency, which could lead to missing profits. MT4 needs to be installed on your computer and this is the main reason this program runs faster. With MT4 you receive the lowest latency (also called lag), which leads to less requotes and the best prices for traders. This feature works amazingly fast. Open a position with just one mouse click. Using MT4 you get to create amazing and advanced graphs for your chosen CFD’s, stocks or Forex. Use these real-time graphs for your technical analysis to increase your chances to profit. You can even save your graph layout as a template, to use it for newer graphs. Learn how we trade in MT4 here (coming next week). 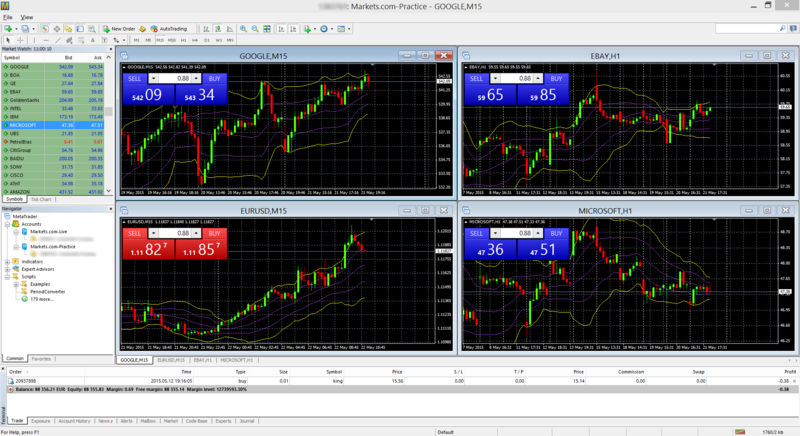 Add indicators like Boillinger Bands and/or Fibonacci with just one mouse click. You can even make your own! If you want to take your trading to the next level, learn to use MetaTrader 4! Learned enough? 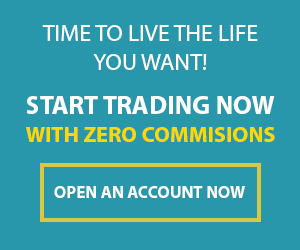 Sign up and start trading now. https://www.101trading.co.uk/wp-content/uploads/2015/04/Dollarphotoclub_59157571.jpg 1351 2048 Cassy https://101trading.co.uk/wp-content/uploads/2015/07/logo101trading2.png Cassy2015-05-22 12:13:282019-01-25 11:34:31MetaTrader 4 : Why should you use it?